Thomas Stanley Holland is an English actor and dancer born on June 1, 1996. He is best known for playing the title role in Billy Elliot the Musical at the Victoria Palace Theatre, London. As a dancer, Tom started dancing at a hip hop class at Nifty Feet Dance School and his potential was spotted by choreographer Lynne Page. Later on, Holland earned his debut role in Billy Elliot the Musical after giving eight auditions and subsequent two years of training. His first performance in the title role received positive notices and opened new horizons for him. 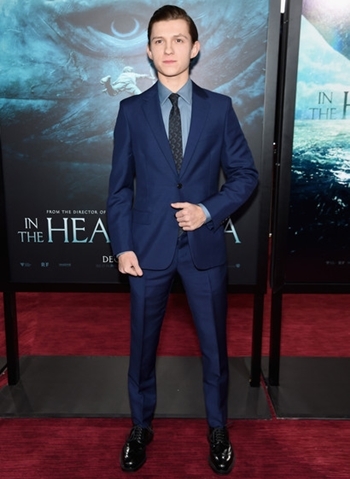 In 2012, Tom gained a role of Lucas Bennett in the film The Impossible and eventually starred in several other films including Locke, Captain America: Civil War and In the Heart of the Sea. Holland won numerous awards and nominations throughout his career such as Young Artist Award, Teen Choice Award and Empire Award. In his personal life, Tom Holland is dating Elle Lotherington. Listed below are the complete actor Tom Holland body measurements including details about his height, weight, chest, waist, biceps and shoe size. Tom is an active dancer. His favorite film is Saving Private Ryan. Holland is the youngest Spider-Man to be cast in the film at 19. 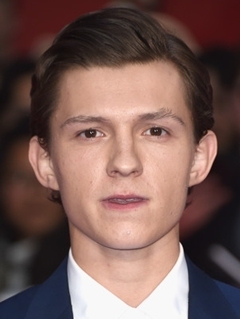 Tom Holland is the first non-American actor to play the role of Spider-Man.